Online video is and has always been the strongest trend in social media...if you take full advantage of it as a social tool. But as I cruise the web looking at video, I see a lot of missed opportunities. 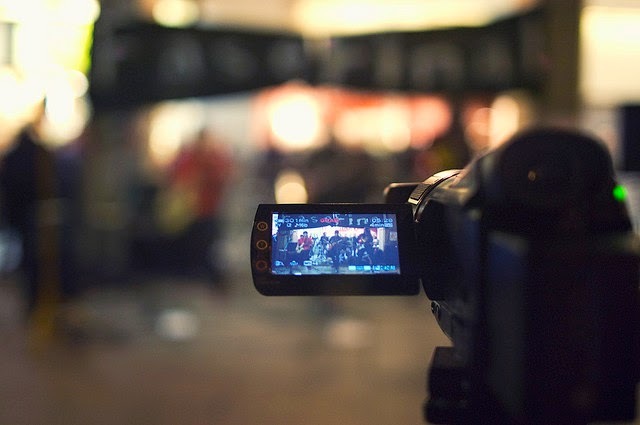 Are you shooting video with these options in mind? Transcribe them: If your video features people talking, the content they say won't make it into search engines without text--just one of the 5 ways transcripts can enhance your social media presence. This is the full-use option that generates yet more options, so consider it seriously. Pull quotes from them for graphics and blog posts: Use that transcript to pull juicy quotes and feature them in graphic form suitable for sharing on Pinterest and Facebook, perhaps with a link to the full video. Don't just post on the usual suspects: Recognizing the power of online video with audiences, loads of sites offer the option to post video as content, from Facebook, Twitter, and LinkedIn to Pinterest, SlideShare, and more. Make them shareable. No, really: Just as with any other type of online publication, if you make it possible for me to share your video, you'll get a wider audience. Check those privacy controls and set them to share. A plea from me: Include an embed code. Break them into smaller videos: I've written before about how to wring out your existing content to create dozens of blog posts, using a video webinar as the example. But there's no reason you can't wring a lot of short video components out of a longer video and post them in shorter formats like Vine, or more specific blog posts. Embed them in email newsletters: Most newsletter programs offer embedded video as an option, but I rarely see it used in the newsletters I receive. Why not use this option to feature a TED talk, share a fun Facebook video, or share a video message more widely?